When installing outdoor holiday decorations and lighting it can often feel like you’re drowning in electrical cords and tripping over them left and right. 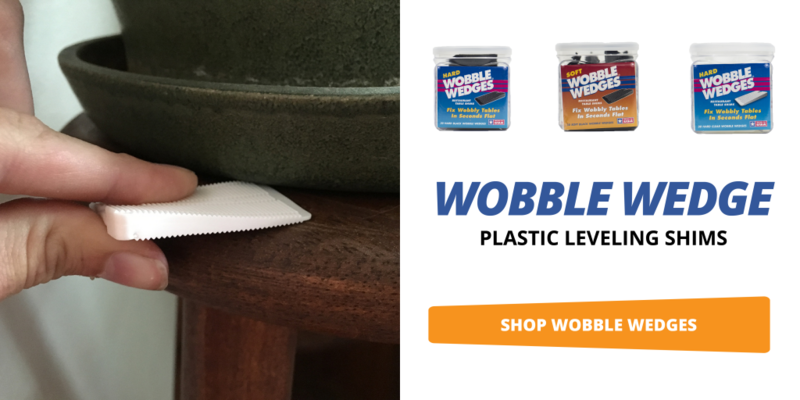 Luckily with Wobble Wedges® you can create a temporary fix or a more permanent one. Our tapered plastic shims to hold your cords out of sight! If you are running cords and they have to cross a doorway, this can cause a major problem. Often the cord isn’t long enough to run up, over, and around the full door frame (and let’s be honest, this never looks very good). So how do you run the cord across the threshold and not trip every person that passes through it? 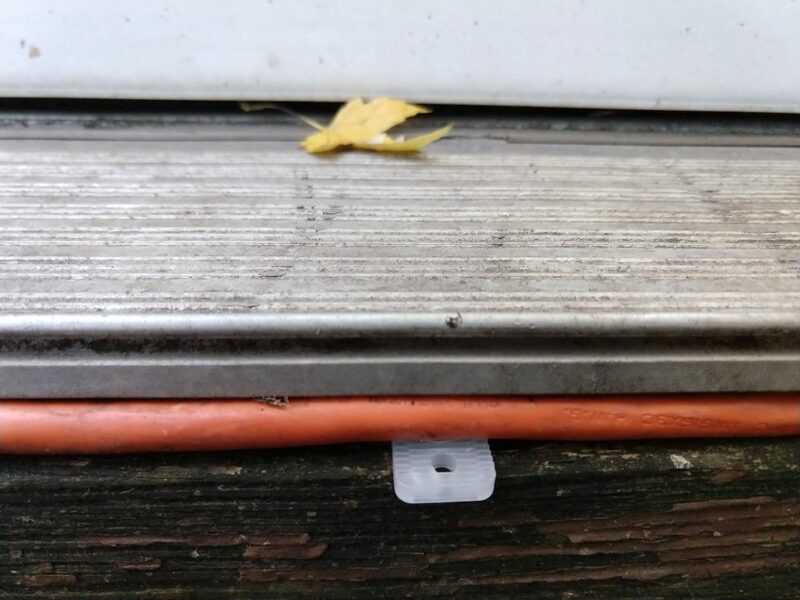 If you use Wobble Wedges® you can wedge the cord underneath the door sill and our plastic tapered shims will keep it in place. This will put the cord out of the way of foot traffic. And the best part is it can be a temporary solution or a more permanent one. Since it’s just being held in place by the pressure of the tapered shim, it can be easily pulled out and adjusted or removed. To do this you can use either the standard hard plastic Wobble Wedges® or the Mini hard plastic Wobble Wedges®, it will just depend on the space you are trying to wedge the cord into. To run a cord along the outside of your house you might have the advantage of siding that gives you a small space underneath it to tuck away your electrical cords. But how can they stay tucked away? Wobble Wedges® can be used to gently wedge the cords underneath the siding of your house. Keeping them from tripping you and improving the look of your outside decoration. The best part of using Wobble Wedges® to hide electrical cords outside is that they are easy to remove. These methods all use the pressure created by wedging the tapered shims into place. So you can easily make adjustments, move things around, and ultimately put away your decorations and the cords without extra work. If you are looking to install holiday lights along the eaves of your house, Wobble Wedges® can be used to “defy gravity” to hold the strand in place. This technique can also be used to hide extension cords out of sight. One of the advantages of Wobble Wedges® over other shims is the pre-drilled hole that allows you to secure the wedge in place. Use the pre-drilled hole to attach the plastic wedge to the soffit of your house. This clamps the cord in place using the pressure of the screw. Space the hard plastic shims as needed to hold up the cord. Since Wobble Wedges® are made of plastic, they can be left in place all year round! Leave them to use for next year’s decorations or they can easily be taken down by simply removing the screw.